Despite the Conservative Party of Canada’s fondness for promoting its support for Canada’s military, since assuming government in 2006 the federal government’s relationship with veterans has been rocky at best. By the close of last year’s parliament it seemed that new criticisms were being leveled at Julian Fantino, Minister of Veterans Affairs, on a daily basis. His department’s handling of the New Veterans Charter (NVC) and treatment of soldiers’ mental health came in for special criticism. Critics also added neglected war graves, unspent funds, cuts to the Veterans’ Affairs’ disability awards branch, and inadequate access to a growing list of complaints. Fantino, at least, was struck off that list early in the new year when he was replaced as Minister by Erin O’Toole, a sign the government is trying to repair its reputation with veterans. In British Columbia wounded veterans have taken Ottawa to court over the change from life-long pensions to one-time, lump-sum payments. This shift, the veterans argue, amounts to a breach of trust between soldiers and the crown, a social contract that dates to at least the First World War. Their suit builds on Aboriginal case law by invoking the honour of the crown. If it succeeds, it will be precedent setting. Veterans’ benefits will henceforth be enshrined as a permanent fiduciary responsibility. With parliamentary sovereignty at stake, government lawyers are vigorously seeking to have the suit thrown out. At the heart of the case are Prime Minister Robert Borden’s wartime commitments to Canada’s troops. 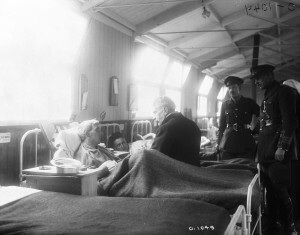 In 1917, on the eve of the attack on Vimy Ridge, Borden assured the country’s soldiers that they “need have no fear that the government and the country [would] fail to show just appreciation of [their] service.” The Prime Minister considered it Canada’s “first duty” to support the troops and he promised them that none would have “just cause to reproach the government for having broken faith” with its men. Ottawa’s recent suggestion that the Prime Minister’s commitments amounted to mere politicking ignores that his statements were part of a much wider chorus of wartime voices. Each assured men that in return for their service they and their families would be taken care of. Such promises were uttered by politicians and bureaucrats alike. None suggests they were merely pandering to serving soldiers or veterans. Clearly Canada’s wartime bureaucrats, soldiers, and politicians all understood that winning the war required supporting the country’s servicemen. If the crown still believes Borden’s commitments to veterans are so easily dismissed as the cynical politicking of yesteryear, it begs to question what we are to make of the Conservatives’ claims today? Jonathan Scotland is a doctoral candidate at Western University. His dissertation examines Canada’s returned men in the aftermath of the Great War. As the war progressed, and in a move prefiguring contemporary social and family assistance provide to the armed forces, Canada’s governments moved to provide additional assistance for serving soldiers’ families. Ottawa, in particular, directed significant financial and public support to the Canadian Patriotic Fund. After 1918 veterans fought hard to define these promises and to ensure they included all those who served, not just the disabled and ill. Their struggles are eerily similar to contemporary complaints and, outside of the literature on the pension system, remain largely ignored by historians. Frederick Bagnall, Not Mentioned in Despatches: The Memoir of Fred Bagnall, 14th Battalion, C.E.F., 1914-1917 (Ottawa: CEF Books, ), 78. AO, RG3-3-0-95, “Employment and Settlement of Returned Soldiers,” R.L. Borden to W.H. Hearst, 11 October 1915. AO, RG 3-3-0-106, War: Settlement of Returned Soldiers (1915), n.d.
 Sessional Paper No. 35a, 5.